Working on a range of projects throughout Cape Cod, as well as on Nantucket, Martha's Vineyard, the Shore Shore, the North Shore and the Metro West regions, PSD opens a satellite office in Hingham. PSD is pleased to announce the opening of a satellite office on the South Shore. 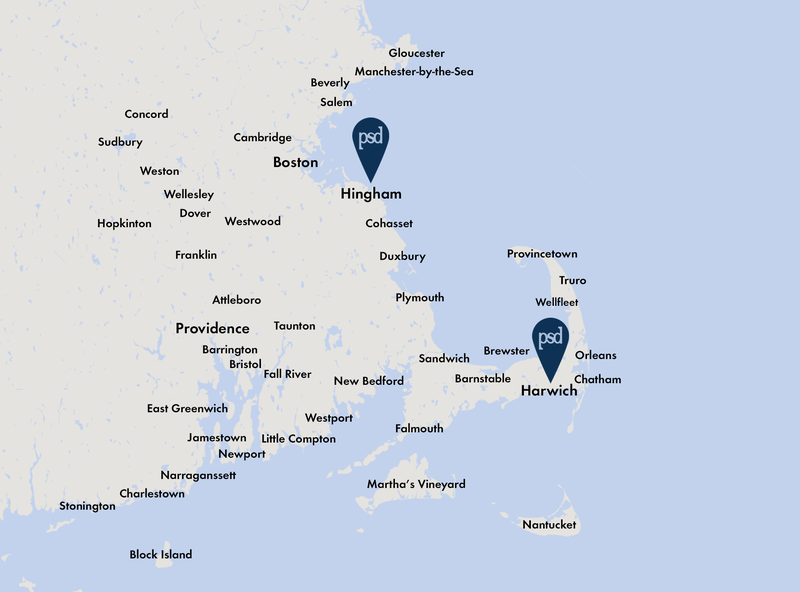 Located in Hingham, MA, the new office space allows PSD to better collaborate with clients and associates as they expand their geographic reach throughout southern New England from their principal location on Cape Cod. The South Shore satellite office is located at 18 Shipyard Drive, Suite 2A, Hingham, and is easily accessible by public transportation, including the Boston-Hingham ferry.